Special Summon this card as an Effect Monster (Rock-Type/EARTH/Level 7/ATK 0/DEF 2500). (This card is also still a Trap Card.) If Summoned this way, this card cannot be targeted by an opponent's card effects while you control another Trap Card that is a monster. 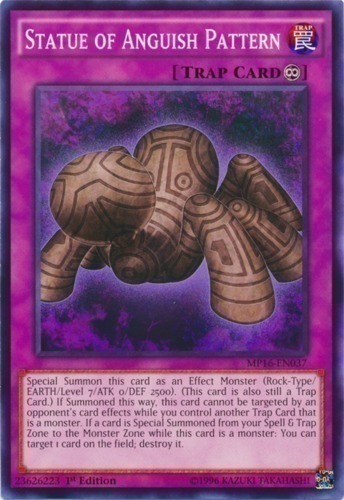 If a card is Special Summoned from your Spell & Trap Zone to the Monster Zone while this card is a monster: You can target 1 card on the field; destroy it.